If you’re a family on a budget, it can be tough to find cheap family activities everyone can enjoy. How do you please everyone and keep the costs manageable? Here are some ideas for creative, fun, and cheap family activities that will keep your kids entertained without breaking the bank. One of my favorite childhood memories is a day my entire family spent at a local park. It was a park that we didn’t go to very often, which I guess made it more special because the playground was new and different from our regular park. The parents played games with the kids like Twister and volleyball, we had hot dogs, hamburgers, and watermelon, and the kids spent hours exploring the playground. It was such a fun-filled day for our entire family, and it didn’t cost a penny except for what was spent on food. Plan a picnic in the park with local families and make it a potluck. Have each family bring a game to play like horseshoes or Bocce ball. There are very few kids who don’t like camping, but the hassle of packing everything can oftentimes be more stress than necessary for parents who just want a simple vacation. Enter the backyard campout. Set up your tent in the backyard, create a mini campfire with an outdoor stove, and roast your hot dogs. Of course, you should also cap off the evening with s’mores and scary ghost stories. Children love creative activities that lets their imagination do most of the work. A day at the beach, lake, or pool can provide entertainment for hours with the help of a few silly water toys. Just make sure to pack plenty of snacks for those kiddos that burn off energy in the water. Meanwhile, mom and dad can relax poolside once they’ve tired out from trying to keep up with the kids. Don’t live near a beach, lake, or pool? Invest in a slip and slide and turn those sprinklers on. Show your kids the outdoors by taking them on a hike to new location. It will be even more exciting if you can spot some wildlife and teach your children about the local animals. Incorporating some lessons into the hike will help keep children from getting bored. Use the farmers market to show your children where produce comes from. Make it into an activity and give them the shopping list so they can decide which booth to purchase groceries at. This will help them engage more and feel like they’re helping rather than just tagging along on an errand. A lot of cities offer free activities in the summertime, like movies in the park, concerts in the park, free bowling nights, and more. Search Google for free family activities in your city, or check your city’s calendar to see what kind of activities you can take advantage of. Too often, parents make the mistake of assuming a ton of money needs to be spent in order to take part in activities their whole family can enjoy. It’s simply not true. You can continue to live a budget-friendly lifestyle with kids if you just make more of an effort rather than shelling out big bucks to go to the movies, or your local amusement park. 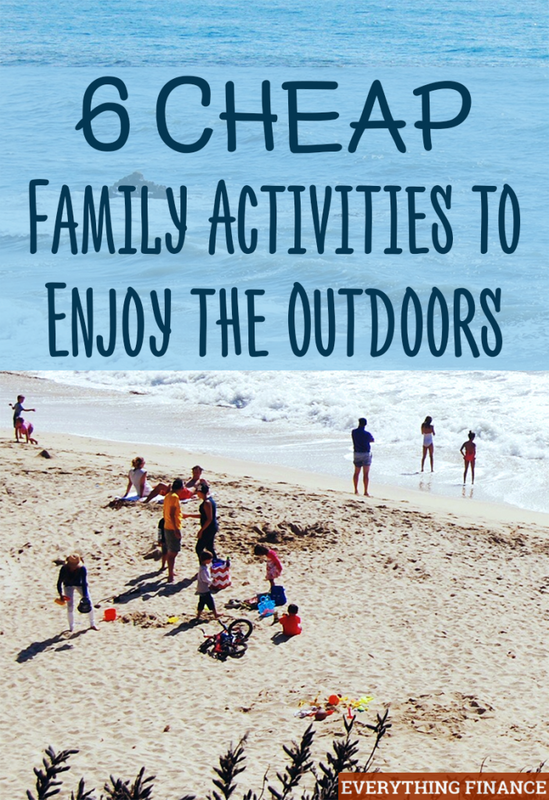 What are some of your favorite family activities that are cheap? Check with your local library. Most of them have a summer reading program with great activities for children and adults. And remember, libraries aren’t just for books. Most of them have DVDs and CDs that you can check out, and computers you can use.